There are lots of reasons to choose the LG V10. This phone has an excellent camera, a gorgeous display, and it’s fast. 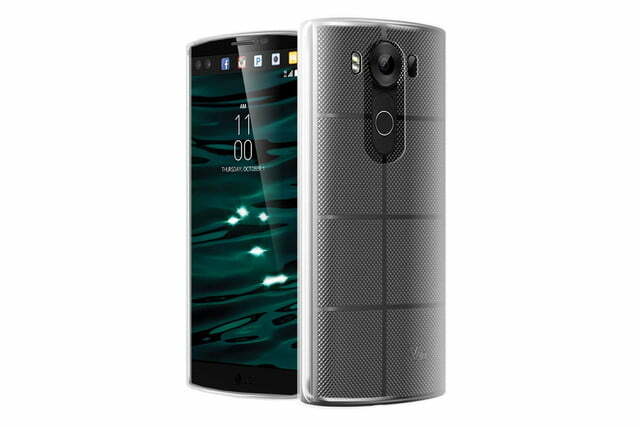 It’s also one of the most durable smartphones that LG has ever made, with a stainless steel frame and that textured Dura Skin backing. It may handle a fall better than your average phone, but it’s still a good idea to get some protection. 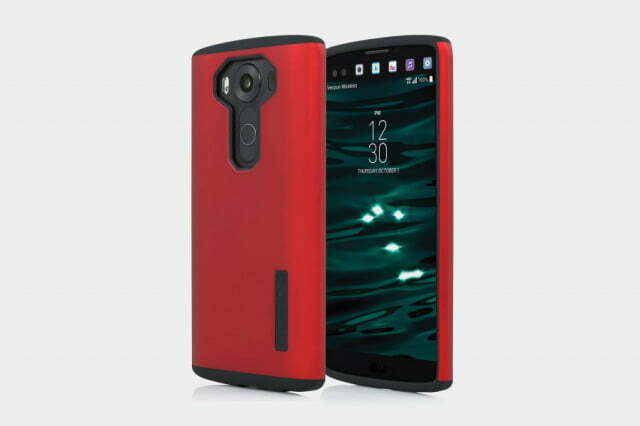 The best LG V10 cases also afford you the opportunity to add a splash of style to the tough-looking phone. If you want something that matches the industrial look of your V10, then UAG’s wares are worth a look. 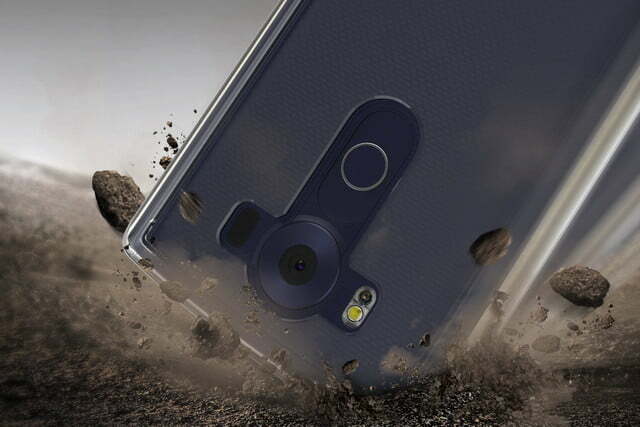 These lightweight cases combine a tough transparent shell with a soft core. 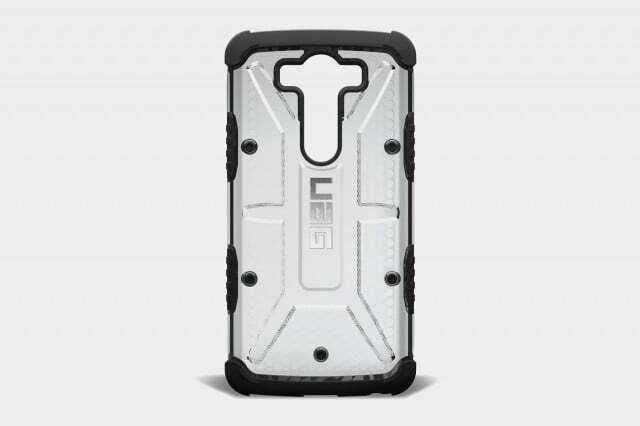 The external skid pads keep the phone from coming into contact with any surfaces and reduce the chance of scratches. This is also a tough case you can rely on, because it meets military drop test standards. It adds grip, but also some bulk. The Ice case is the clear version, there’s also a darker tinted Ash option. 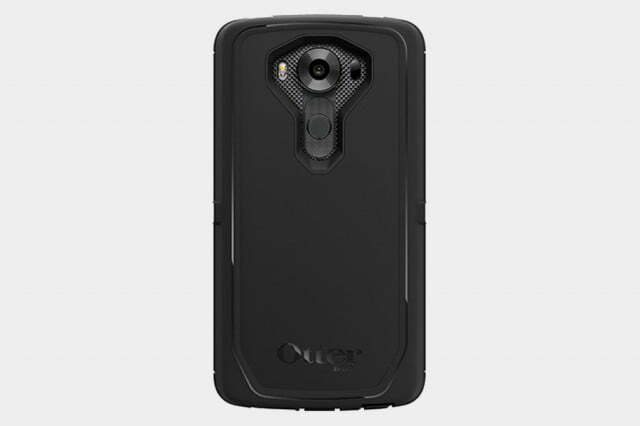 Fans of rugged protection will be familiar with the Otterbox brand. 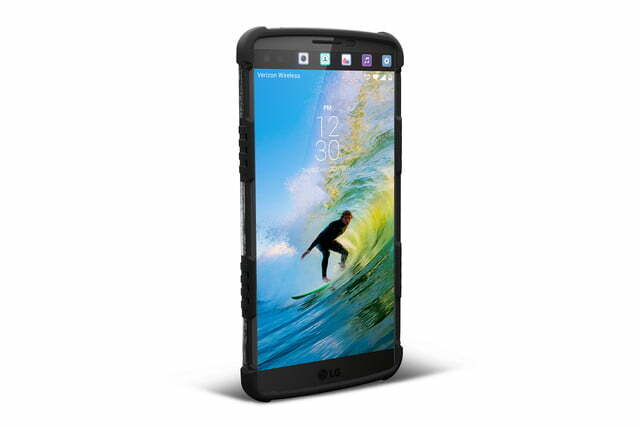 The Defender Series offers three layers of protection, combining a polycarbonate shell with a synthetic rubber slipcover and built-in screen protection. 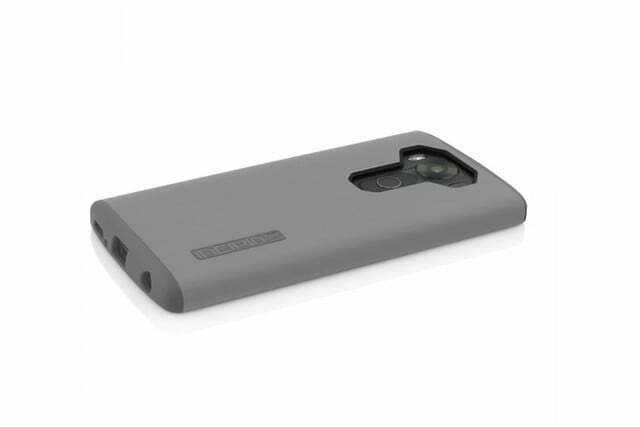 You can drop your LG V10 or take it outdoors without a worry when it’s wearing this case. There’s a decent cut-out on the back for access to controls, and you’ll find port plugs to lock out dirt and dust. You also get a holster with it that can clip onto a belt or bag strap and double up as a kickstand. 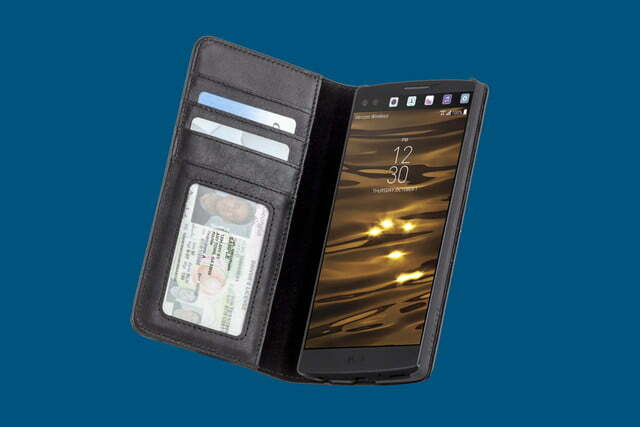 The all-round protection is excellent, but there’s a trade-off because this case does add bulk. 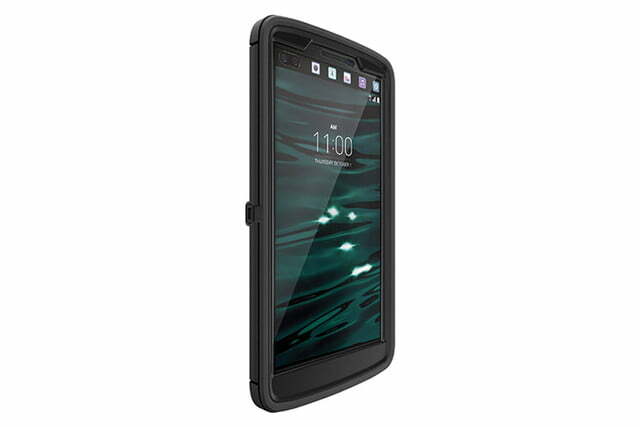 For most people this dual layer case from Incipio is going to offer enough protection. 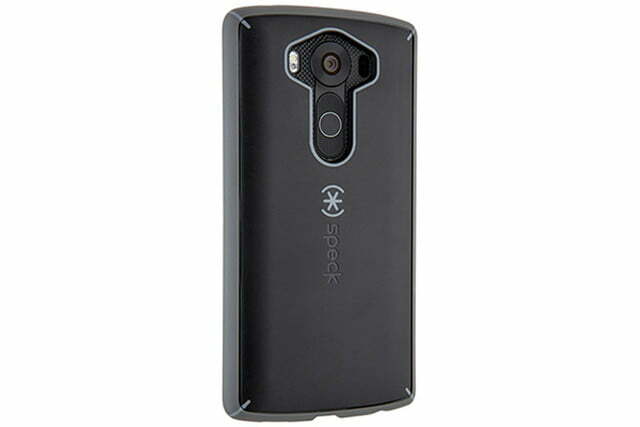 There’s a hard outer shell with a soft-touch finish and a flexible inner core that will absorb the shock of any impact. The openings for the ports are accurate and there’s a big opening on the back for the camera, fingerprint sensor, and controls. You can opt for black, two-tone grey, red and black, or pink and grey. This is a solid protective case that feels nice in hand. Here’s another great case for drop-prone owners. You’ve got an inner layer of flexible TPE molded in a special radial pattern to dissipate the impact of a bump or fall. 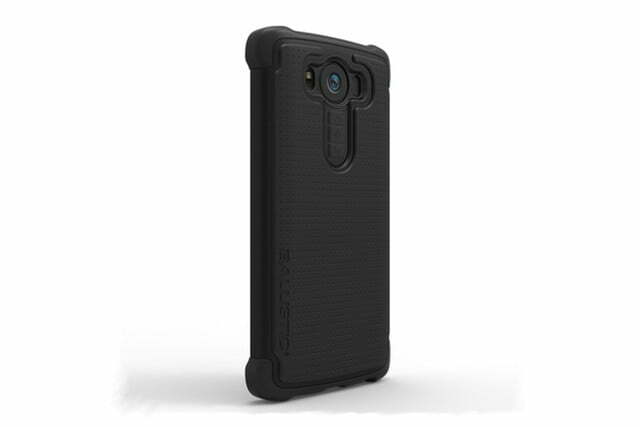 That’s surrounded by tough polycarbonate with a final outer layer of TPU for added grip and shock absorption. The end result is drop protection that exceeds military drop test standards. 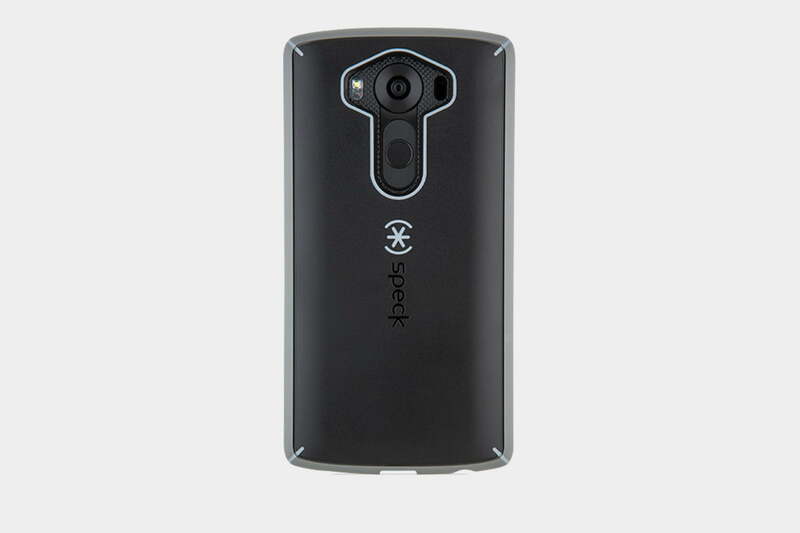 For a tough case, it’s not too bulky, and Speck’s color highlights add a touch of style. 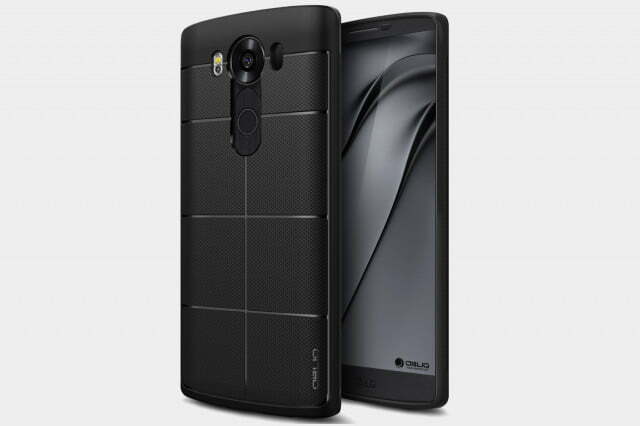 The nice thing about this case is that it mirrors the LG V10’s design with a textured pattern divided into squares. It’s a simple TPU cover, offering a second protective skin that will take the sting out of drops and prevent scratches and dings. It’s slim, the cut-outs are accurate, and it definitely adds some grip. 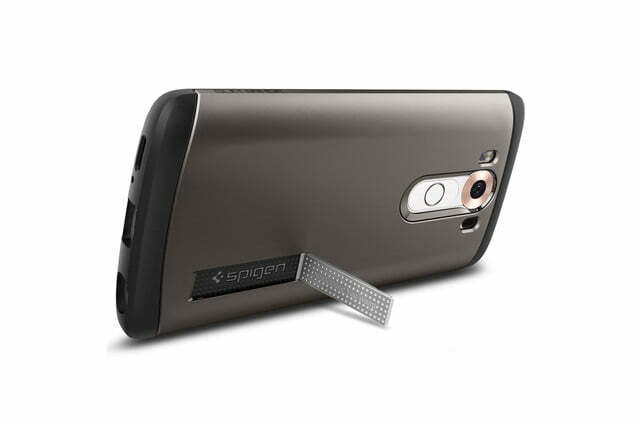 You may need to reprogram the fingerprint sensor once the case is on to avoid any issues. 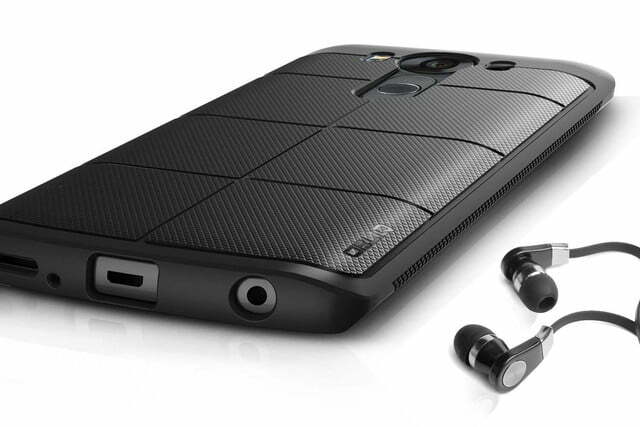 This LG V10 case is only available in black, but it certainly won’t break the bank.